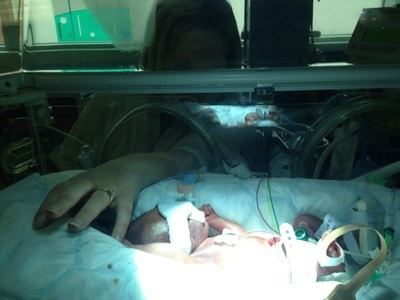 Our Daughter Brooke Hope Slater was born at 27 weeks and 2 days, weighing 2lb in July 2013. It was some journey getting her; due to my medical history I was told I would never have children. My husband and I had been together since we were sixteen - only falling pregnant three times. Our first boy was lost at 21 weeks, and the second at 14 weeks. We longed for a baby. Brooke was our third time lucky. We were just about to start IVF when I fell pregnant and something inside me knew it was going to be ok. I was scanned fortnightly and had a stitch put in at 14 weeks, whilst on bedrest at University College Hospital in London. But Brooke arrived there at 27 weeks, breaking through my stitch and being delivered 14 minutes after my waters broke. Sadly my husband didn't get to see her being born as it was so quick. Brooke was whisked away to NICU. 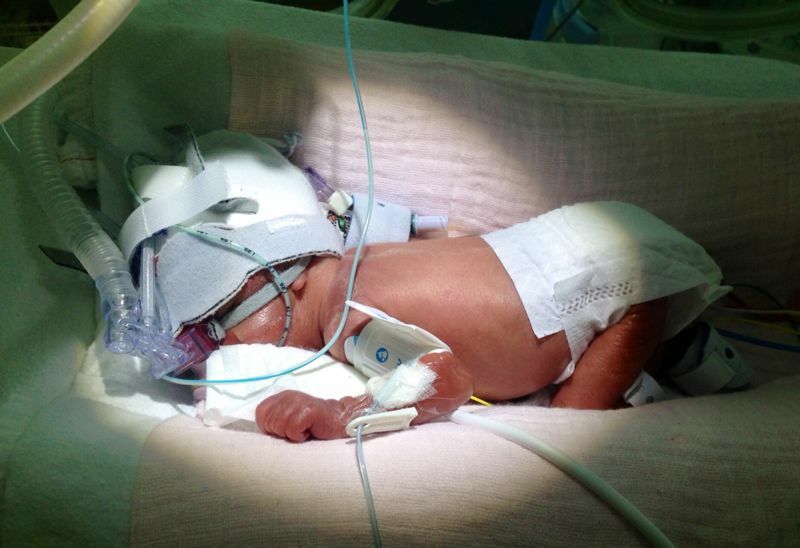 I had to go to theatre then finally met her that afternoon - my little miracle, so tiny, but I knew she was a fighter. The first week went well and two days after being born I got to hold my baby girl, a truly magical moment. But the second week she went downhill with an infection, her kidneys stopped working and I was told to call my husband as they said it could go either way. She was put back on the ventilator and looked so poorly. Coming this far I just thought, we can't lose her now. I don't think I have ever cried so much. I've never been so happy to see her wee. Finally her kidneys were working and she was on the mend and back on CPAP. 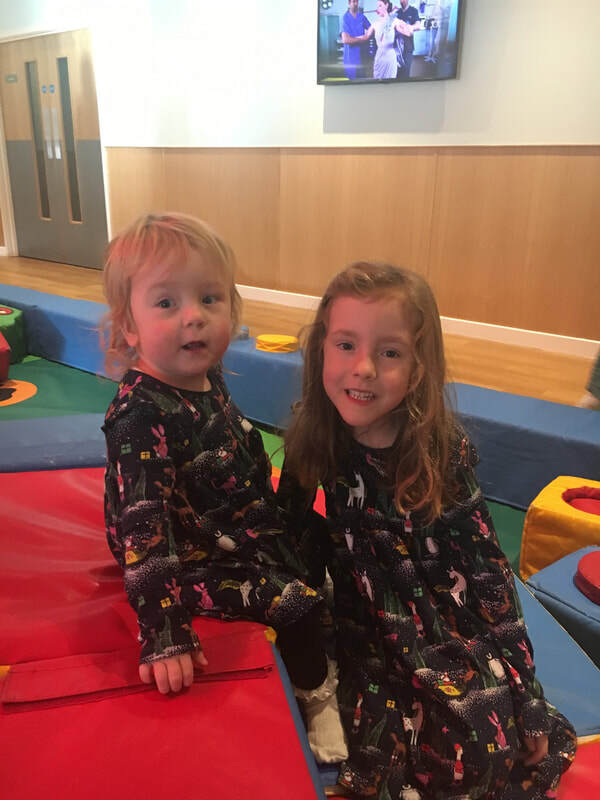 A PDA ( patent ductus arteriousus) was noted and Brooke was due to go to GOSH for an operation but thankfully it resolved itself. After 3 weeks we moved to the Lister. It was very hard at first - a new environment and different ways - but we settled in quickly and made lifelong friends. 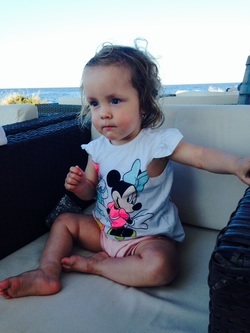 Brooke spent 9 weeks at Lister, she had to have number of blood transfusions but did well. I remember walking into to the room and she had progressed to a cot - we cried happy tears that day! Everyday I sat by her 10-7, only leaving to have lunch or express, I found the expressing hard work and would only get 30-40mls, but it was the one thing I could do to help my girl grow. On 7th October our baby girl came home, on oxygen and monitor but nevertheless coming home. We had a number of reflux medications too. After 7 weeks she was off the oxygen and it was just the reflux to contend with, which pretty much meant she spent her first 6 months on my chest. If I put her down after feeds it would come straight up and she would choke, but I didn't mind, I love cuddling my little girl. Thankfully the reflux went after her 1st birthday. Brooke will be 2 next month. She does suffers with a number of chest infections in the winter months needing inhalers/nebulisers but other than that is doing amazingly. She walked at 18 months and they haven't got any concerns - just one more development check and fingers crossed all will be well. We are truly blessed to have Brooke. Brooke is now 5 years old and doing amazing. She was born in July but due in October so we had concerns if we would hold her back a year at school but we decided to just see how she went, and she really has done well, don’t get me wrong she does get tired and really has to work hard but the school has no concerns at all. She is one determined little girl and loves to learn. 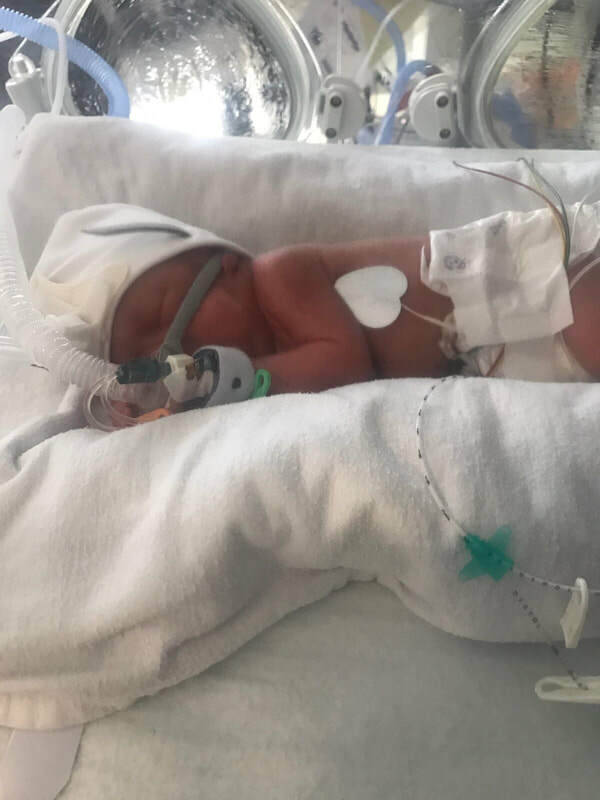 Brooke now has a little sister Beth who was born in April 2017, and she was another little premmie, she stayed put six days longer than her sister and born at 28 weeks and 1 day and weighing a good weight 2lb 14oz. Beth like her sister was born at UCLH due to my medical history but then transferred up Lister when stable. She did amazing at Lister and when we were transferred back it was like coming home, so many friendly familiar faces. We had a few hiccups with infections but on the whole done great, and she came home after 10 weeks without oxygen which I was actually more nervous about as I hadn’t brought a baby home without oxygen before. The outreach team were amazing and so supportive. Beth will be 2 in April, she is a very cheeky monkey but doing great, she has a couple of small holes in heart a PDA and PFO which are monitored by GOSH but currently causing her no problems. She also has a duplex kidney, and again monitored by GOSH, and on low dose antibiotics but cause her no issues.